Tablet Copper Pipe Holder DIY Kit! 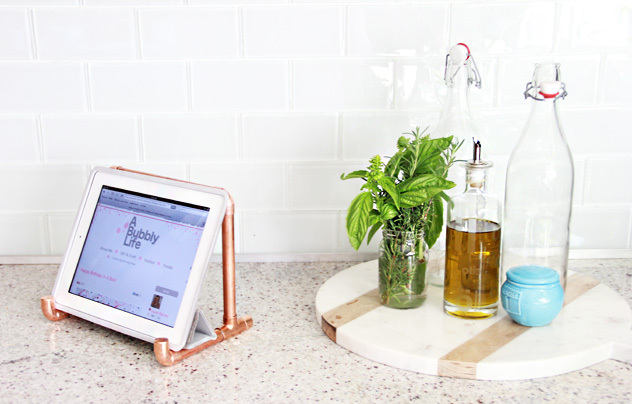 Great news for anyone who wanted to do the copper pipe iPad/tablet stand DIY– now you can buy all you need to make it as a kit on Darby Smart! Have fun and be sure to tag me if you make one! Other readers have let me know they love it to hold a cookbook in their kitchen- so use it for whatever you need to hold, hope you give it a try! Thank you for supporting A Bubbly Life!